FOR WANT OF MY FUTURE MY CHILDHOOD WAS LOST: RECLAIMING MY CHILDHOOD(2) | Thoughts of a Calabarboy. 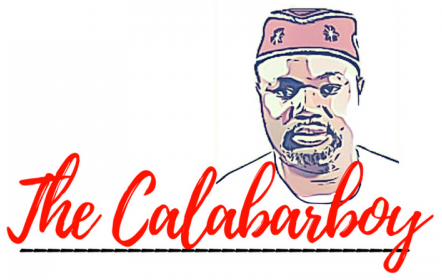 FOR WANT OF MY FUTURE MY CHILDHOOD WAS LOST: RECLAIMING MY CHILDHOOD(2) – Thoughts of a Calabarboy. Some persons would think that looking back to your childhood for guidance is a delusional attempt at escaping from confronting the challenges of today. Realism seems to suggest that we do a critical analysis of the present and hone our skills to meet the demands, thereby rightly fitting into the flow of things and a making a profit thereof. I had many friends in high school, having witnessed the era of the Pax-Computera, began chasing a dream of becoming computer gurus and migrating to locations where the sector was intense. Some made it and are enjoying the pleasures that come with runaway successes of the computer age, but many others remained totally frustrated at locations where the grind was slower. With the burst of the dot-com bubble came also the burst of many dreams stimulated by glossy success stories. Years later, I was to witness how several friends, who landed the shores of the United States with a degree and sometimes a post-graduate qualification, would scramble to start a new profession in the medical field such as Nursing as well as in Accounting. Nurses and Accountants were the in-thing-professions and if you wanted to have security in life’s market, ‘prevailing wisdom’ spoke to a high consideration in this regard. The result is that society is replete with examples of the walking dead, alive to nothing but a sense of survival and a total coldness to the inner promptings and cries of a stifled childhood. All around me are those living within the socially carved cocoon of convenience, while living without the essence of a true call. And what is worse is that the more complicated the world becomes due to advancement in knowledge and the apparatus to explore such, the more it becomes very difficult to wade through the demands of life. We are born into a season when it is the times that dictate what men must do and not men dictating what time must afford. So many of us are simply living for the moment because it feels like the seconds are whizzing past without our capacity to interject it. So we engage society on its own terms and not ours. But I have found out that you never win when on this kind of stifling journey, where the very air you breathe is rationed and your water is constantly apportioned. It is at such times I fall into envy. No! Not envious of my kind, but of the birds I see and hear through my window every morning. 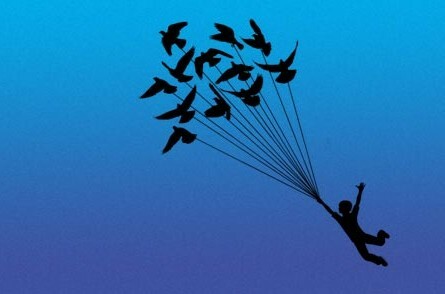 They soar without effort because they are and stay in their own place, engaging life with what comes naturally to them. They take no thought of what to eat, what to wear, or what to drink or where to live. By virtue of their place, they have a higher perspective to everything. Hard-work, endurance, perseverance, and focus are all displays of affectation because that’s how I stay competitive in a harsh race. Considering all these, I now highly cherish the time I spend with my inner child everyday telling new stories. That’s all I wanted to do as a child – Tell stories. I particularly love the bathroom because once the shower comes on, with it is an ignition of a daydream, which can go on until a scream jolts me back to reality, only to realize it’s been over a 100 minutes of mind roaming. My mind is aglow with less effort and I am swimming in the depths of creative thinking. I was far better at this in my teen years, but constantly had to lay it aside to study my biology and physics textbooks. Although these other areas widened the scope of my imaginations, the mandatory demand they placed on me only served to relegate my primary inspiration to a thing of recreation. Even my wife cannot understand what I spend all the time doing in the bathroom or sitting on my swivel chair staring at the window late at nights. I alone know. I am merely engaging my childhood and feeding it all that I have starved it from all through the years. I am dreaming again and writing stupid stories, telling them over and over to myself and recreating a pluperfect world where I am king. I am gaining my childhood back, perhaps I also will regain my artistry as well. It’s quite a struggle having to balance this with the requirements of paying my monthly rent and ensuring my other bills are not defaulted on. But it is my resort to sanity and the only place where life cannot dictate to me. I build, destroy, rebuild, refine, and have absolute constructive license without any permissions. This is my domain and I am rediscovering it. Now I need some time to make something out of it and I am willing to stay this course for as long as I have denied its very existence. My experience mirrors yours. Funny enough I also spend hours in the shower daydreaming of the lost years I spent trying to be a grown up when I should have just been a child. Now I am caughtup in this grown up adult world and the only hope for sanity that I have to to sometimes retreat into that unpretentious, uncomplicated time in my life called childhood. In my retreats, I am a singer of high repute, or I am in love with a man who knocks me off my feet and our passion is unending, unabating. Funny enough I have waitied d many years for these things to happen in my life but they elude me. Especially the prince part. Hahahaha. Oh the joys of childhood. This is very interesting to read how all humans are so very alike. During childhood, we do not worry about our so called mistakes. No disappointments from yesterdays; and we do not worry about the uncertainties of tomorrow. This is so because we are very close to pure spiritual beings during childhood. As we mature we tend to drift away from our spiritual being and become more human. As humans, we can and must strife to grow and mature spiritually in order to get back to those wonderful times. When you become mature spiritually, you will realize that it is easy to get “into the zone” and once again become childlike. In this state, you love unconditionally and feel very content in life. Creativity is at its peak during this time. Oh how wonderful it is to be in the moment. Thanks for sharing this with us and may we all learn to leave the worries of this life and live in the moment to enjoy a more abundant life. May the blessings be. I’m glad someone understand why i retreated into my shell. I felt so lost at a point, battling between pursuing what feeds my soul or joinning in the fight to survive. I made a very conscious decision to go back to my childhood too, reconnect with my early passions and stay on that course. Because in the end, many people die miserable simply because on the inevitable to foot the bills, they lost the only thing that mattered to them, their childhood dreams. Thanks Regg for such riveting piece, I too am reconnecting with me again, I’m dreaming again and i’m feeling alive again!